Mutt Vinyl or Mutt Silk? As promised in our recent UMSA entry, this delightfully taut & toned ‘lipped’ Bell is the second and final trade mug in our super-exciting “Aberysthwyth Collection”. They were salvaged from an intriguing outlet called Craft. Housed in a space looking out across the train station platform, it’s an Artisan pop-up charity shop-style affair selling mainly furniture but also including but not limited to computers, storage units, electrical items and sadly the most derisory collection of 2nd hand CD’s & DVDs I’ve stumbled across. On the music front if you weren’t a Paul Potts fan, you were goosed and I didn’t much fancy ‘Bloodsport 2’. 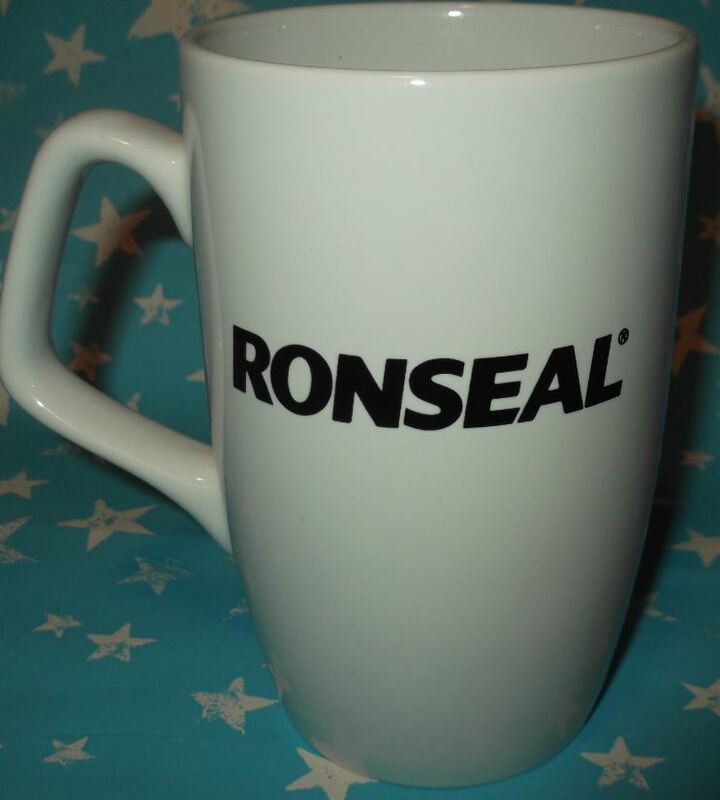 Anyway venturing deeper in to the bowels of this establishment, I happened across a home wares section and thereupon saved the mugs from a far than certain future and brought them ‘home’ to their final resting place at Mugspotters HQ. I digress, so back the reason we’re here. Dulux. 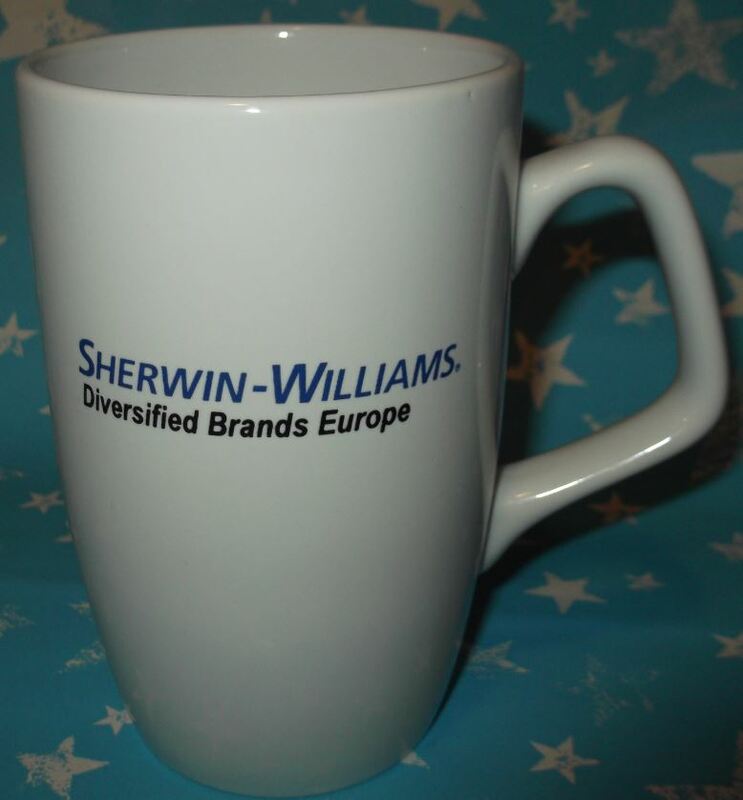 A household name and world-famous painting & decorating brand. Their products are sold both to the public via large DIY stores and also direct to businesses via their Dulux Decorator Centres. Back in the day, their TV ads tapped into the emotions of all but the most hard-hearted of viewers as it’s star was a shaggy dog. And all the Mugspotters said..”Awwwww bless”. The Old English Sheepdog first appeared in a 1961 advert but was taken off air in 1996 after 14 pooches had played the role. Television viewers fell in love with the cuddly breed’s long and soft coat, which covers its face and eyes. 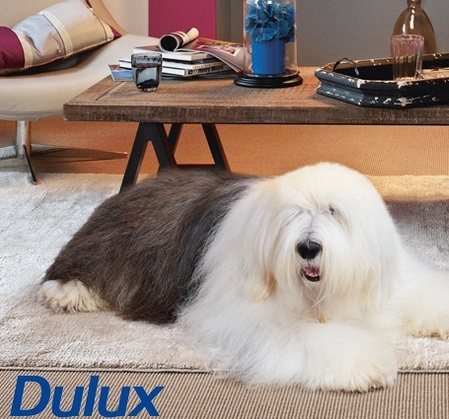 The Dulux dog, first played by an animal called ‘Shepton Dash’. (rhyming slang anyone?) 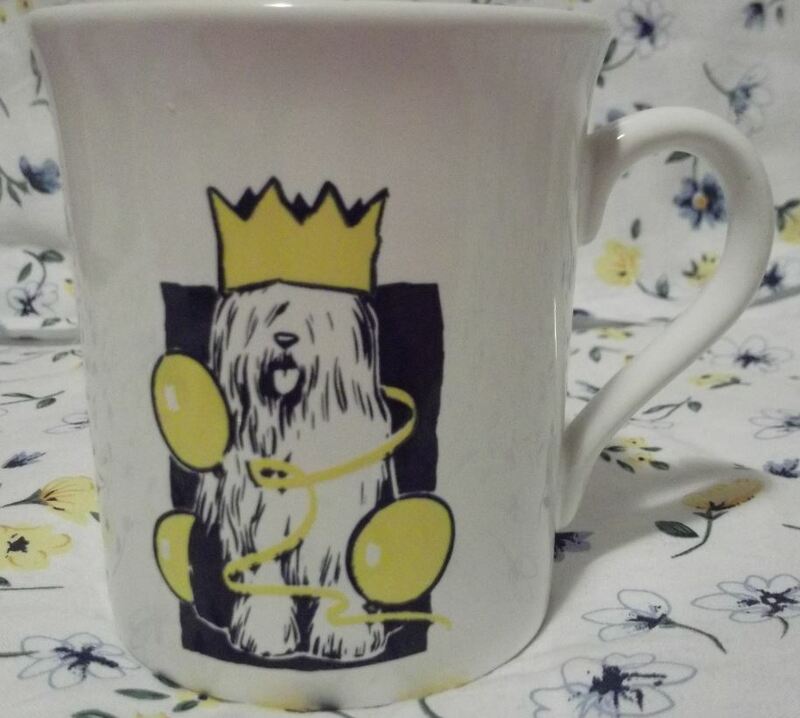 It was so well known that this became a common nickname for Old English Sheepdogs and still remains to this day. 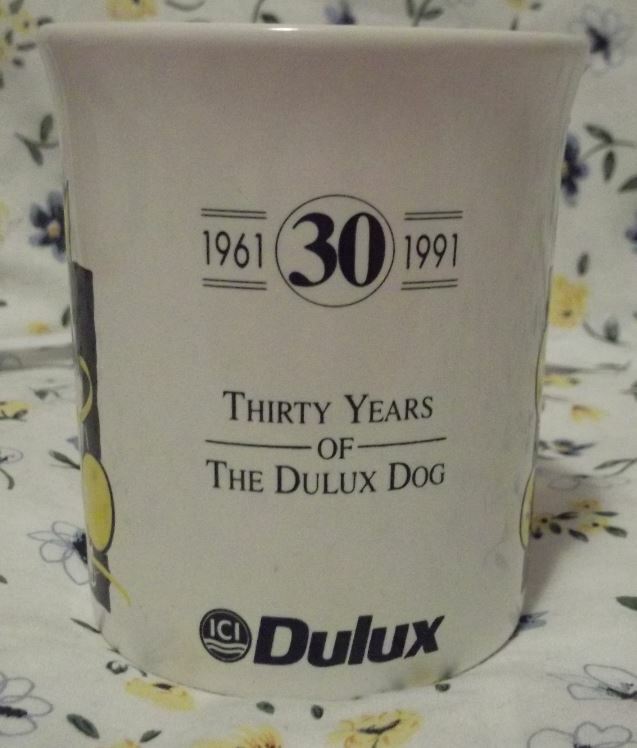 The clue is on the mug but this almost antique bric-a-brac dates back to 1991, celebrating 30 years of the Dulux mutt. Incidentally it reached it’s 50 years anniversary back in 2011. As its now 2015, in “dog years” then, it must about 378-ish. Craft: Unofficial Artisan recycling partners of Mugspotters.